Fasten the Clamp Mount or Stem Mount to your bike and you are ready to mount the SP ConnectTM Phone Case by placing it on the mount and turning it 90° clockwise. 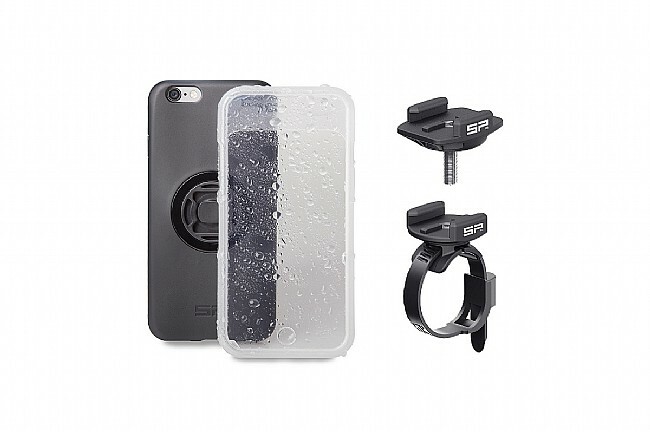 This SP Connect Bike Mount Bundle includes the SP Connect Phone Case, Weather Cover, Clamp Mount, and Stem Mount. Compatible with iPhone 6s only.